Just imagine the sounds of the Breed Street Shul of Boyle Heights during her heights of glory in the 1920s. For the High Holy Days the congregation would hire famous liturgical cantors. Sparing no expense to get the best talent. Notably, the greatly celebrated Cantor Yossele Rosenblatt once came to lead High Holy Days. In the old days the neighborhood of Boyle Heights, East Los Angeles, was home to dozens of synagogues. There were over thirty Jewish congregation of various sizes, varying from home congregations and shteible minyans, to great synagogues. I am told that on high holy days the young people would often wander from shul to shul, in order to see their friends and slip in to experience the sounds of each of the congregations. Now, I only know of Cantor Rosenblatt leading High Holy Days once at the historic Breed Street Shul. However, this is impressive enough to boast all on its own! Cantor Josef “Yossele” Rosenblatt (May 9, 1882 – June 19, 1933) came to America from the Ukraine and was regarded to be among the greatest cantors of all time. He is well-recognized as the most influential chazzan of the Golden Age of classical cantoral music. Cantor Yossele Rosenblatt, Sings a Synagogue Service. Recorded and pressed by RCA. One of the most interesting things about listening to his liturgical music is his metered style and emotional delivery. His use of krekhts, or emotional sobs and breaks in his voice intended to deliver the emotion of the song. He would inspire generations of cantors and liturgical soloists. There are many recordings of Rosenblatt. He and the other cantors of this golden age of cantoral music would be made famous across Europe and America through the wide distribution of their recorded albums. Also, it is important to note that the latter part of his life coincided with the rise of talking films. He would even be featured in the 1927 film “The Jazz Singer,” the first talkie; playing himself. Which is still the ultimate kol nidrei related movie. In the film a wayward Jewish son who had become a jazz singer would by chance come across a concert featuring Cantor Rosenblatt, who would move the young man’s heart with familiar melodies like those his father sang from the bima of his childhood shul. Stirring his soul and ultimately bringing him home to become the cantor himself. Interesting, the concert scene in the film was staged as taking place in Chicago, even though it was most certainly filmed right here in Los Angeles. Rosenblatt came to Hollywood in 1927 to be featured in this role. This would be the same year that he would notoriously perform the High Holy Day services at the Breed Street Shul. Cantor Rosenblatt wrote over one hundred and eighty compositions, some of which had been originally recorded on vinyl and then digitized in recent years. And several of these great pieces have even been rearranged with instrumental accompaniment for new compilations in recent years. As a historian and also as a liturgist, these recordings are both comforting and a bit crazy-making at the same time. It’s comforting that we have many recordings by which to sample his talent at the heights of his career. However, it’s also crazy-making to hear his rich voice running in with organs in old records made for RCA distribution. And to hear his singing run over by elaborate piano accompaniment added to newly remastered versions of the original recordings, by modern-day musicians who naively believe that they are restoring and “fixing” these recordings, which essentially mutilates these pieces. This is really not the way they were truly intended to sound… and so we need to overcome some of that mental distraction, in order to really feel these melodies the same way an actual congregation would have. In the orthodox tradition, these songs were generally performed without instruments; which are consider muktzeh (forbidden to tend to on Shabbat and Holy Days) according to traditional Jewish law. These songs would have been performed by choirs to carry the melody and to fill out the sound, and not have relied on instruments. In keeping with orthodox Jewish tradition, you will notice the Breed Street Shul does not have an organ. We know for certain that the services here were performed acapella, and if accompanied it would have been with an all men’s or boy’s ensemble. I am told by my good friend Don Hodes who grew up here in the 1930s, that his father was a talented singer who sang for High Holy Days. And he tells me that the holiday services were led by a special performing chazzan (cantor), the shul’s own chazzan, and three young men singing from the bima. The Breed Street Shul, as everyone mentions, was the biggest orthodox synagogue west of Chicago. Everything about the place was always compared to Chicago, with the Los Angeles Jewish community not wanting to be left in its shadow. Chaplin and Rosenblatt. Rosenblatt (right) came to Hollywood in 1927 to appear as himself in the first talking picture, “The Jazz Singer.” (1927) According to his son, one of the famous people which he was most excited to meet was Charlie Chaplin (left). 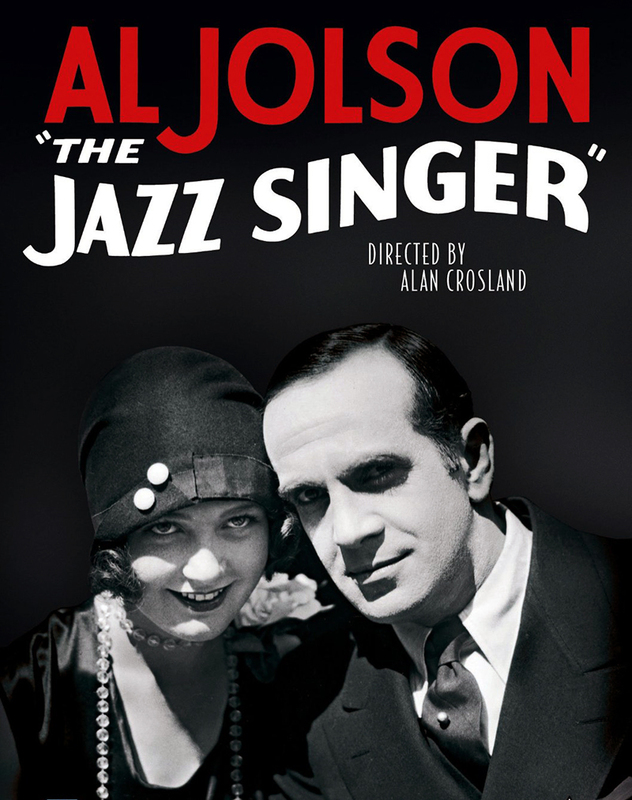 The first talking film “The Jazz Singer” (1927) Cantor Rosenblatt is playing himself singing on stage in Chicago; though it is actually flmed in Hollywood. Chazzan Yossele Rosenblatt performing in “The Jazz Singer” (1927). An actual bill for Cantor Yossele Rosenblatt performing High Holidays at a synagogue in Chicago. It is widely believed that the Kol Nidre scene from “The Jazz Singer” (1927) was filmed at the Breed Street Shul. Though many claim that the talkie starring Al Jolson was filmed at the Breed Street Shul, this is a total bubbe meise. It’s often repeated both as a Jewish myth and as a Latino urban legend. 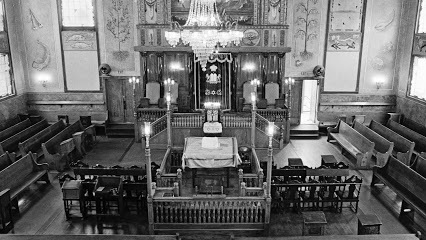 However, it should be noted that in the 1980 version of “The Jazz Singer” with Neil Diamond the Kol Nidre scene was filmed in the sanctuary of the Breed Street Shul. The Breed Street Shul had a big role in the establishment of the Orthodox Jewish community of Los Angeles. Prior to this shul there were many congregations which identified as orthodox by default. However, most of these early congregations were quite modern in their actual practice; some having musical organs and most allowing mixed-gender seating to allow families to sit together. The early Jewish settlers of Los Angeles were mostly German and Polish Jews – Central European Jews – who at first shirked at calling themselves reform and instead thought of themselves as innovating orthodox Judaism. Though this would not do for the newly arriving Eastern European Jews coming from places like Russia and Lithuania who swelled into this neighborhood. As well as those coming in from Romania and Hungary, they didn’t know from these things. They were not familiar with these reforms, and wanted to keep the traditions of the old country which they had brought with them. The Breed Street Shul was therefore very orthodox in practice. This synagogue was built with a women’s balcony (ezrat nashim), an area where ladies would be seated separately to not distract the attention of men during prayer. Though several other local shuls built second story galleries, some of them were not actually used for gender separation in the end. In the case of the Breed Street Shul it was certainly used as a women’s gallery. In this building we would have heard the room entirely filled with the rumbling voices of davening from men on the sanctuary floor below, with the sound of the ladies faintly coming from the balcony above. This entry was posted in Boyle Heights, History, Judaism, Los Angeles and tagged Boyle Heights, Breed Street Shul, High Holy Days, Kol Nidre, Manny Zellman, The Jazz Singer, Women's Balcony, Yom Kippur, Yossele Rosenblatt by Shmuel Gonzales. Bookmark the permalink.